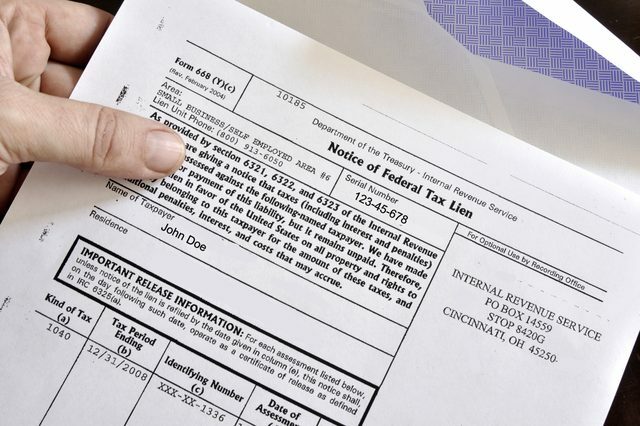 Are you receiving calls, postcards and letters regarding your IRS tax lien? Are telemarketers bombarding you with telephone calls to settle your back tax debt? BEWARE!! IRS Lien letter recipients! Many of these solicitors you are not actually licensed to represent you before the IRS, they are not tax attorneys, nor CPAs, nor EAs. See our popular “beware report” HERE. Learn about the IRS fresh start initiative program below. The IRS is actively and aggressively pursuing individual and business taxpayers with aggressive collection actions. IRS enforcement could be in the form of a tax lien, where the IRS files a lien at your county recorder’s office as a public record so the taxpayer cannot sell assets or property without paying their taxes, penalties and interest. The IRS also enforces collection actions through tax levy and tax garnishment actions against the taxpayer paycheck and bank accounts. Taxpayers should avoid these enforcement actions by resolving their back tax matter with the IRS. IRS Lien letter recipients: Get tax help today! IRS Fresh Start program helpline 1-877-788-2937. All 50 states. The IRS has just published a special edition titled “who can represent you before the IRS”. This is very critical, for many years, a lot of companies had taken advantage of individual and business taxpayers by advertising heavily on the radio, TV and the internet, making false promises on tax settlements and possible outcomes. We have always cautioned our prospects to read our BEWARE REPORT to assist you with selecting the right firm. IRS has issued final regs on the determination of a partner’s distributive share of partnership items of income, gain, loss, deduction, and credit when a partner’s interest varies during a partnership tax year. The final regs also modify the existing regs on the required tax year of a partnership. The United States Court of Appeals for the DC Circuit, today rejected the IRS appeal in the case of Loving v. IRS in which three independent tax return preparers argued that the IRS had overstepped its authority when implementing the Registered Tax Return Preparer (RTRP) program. The RTRP program was created to regulate paid tax preparers other than those already under Circular 230’s regulatory structure such as Enrolled Agents, certified public accountants and attorneys. The program required other paid preparers to register with the IRS, pass a competency test and complete specified continuing education annually. If you are contacted by the IRS, they usually send you a notice to call, or pay an unpaid tax amount. Most taxpayers are confused as to what the notice is for, or what does it really mean. This article will clarify the most common notices received by taxpayers needing back tax help. • CP09, Earned Income Credit You May Be Entitled To From IRS: Informs the recipient that, based on information reported on the tax return, he or she may qualify to take the Earned Income Credit. • CP10, Changes to Tax Return, Reduced Amount Applied to Next Year’s Estimated Tax:Informs the recipient of one or more changes made to his or her individual income tax return. The changes resulted in a reduced amount being applied to the following year’s estimated tax.